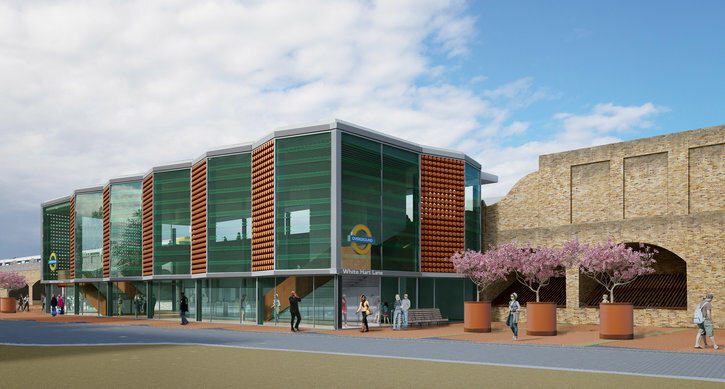 TfL and Taylor Woodrow will work together to redevelop the station, which is used by 1.3m customers a year, delivering improvements including a new ticket hall and station entrance as well as step-free access from street to platform for the very first time. The redevelopment directly supports the regeneration in the area, which includes plans for the new Tottenham Hotspur stadium, a museum, hotel and 585 new homes, as well as 2,000 homes as part of the High Road West masterplan and a further 3,000 homes in the wider North Tottenham area. •	New cycle parking, improved CCTV and Legible London wayfinding to help people continue their journeys on foot. Work is expected to start on site in autumn 2017, with the improvements complete in spring 2019. The station will be available for fans travelling to and from the stadium when it opens in summer 2018 as it will continue to operate throughout the majority of the improvement works. TfL will be introducing brand new trains on the London Overground route through White Hart Lane station to replace the existing trains which are now over 30 years old.